Basic microwaved eggs are a quick and easy alternative to getting out a skillet pan. 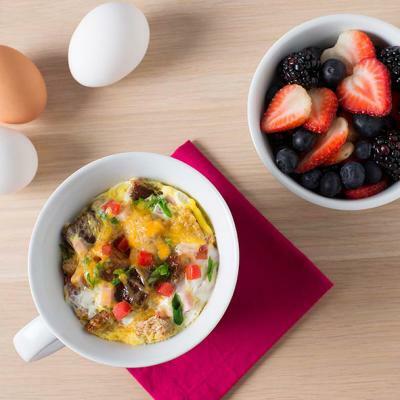 In just a couple of minutes you can enjoy your eggs soft or hard boiled. Spray microwave-safe container (e.g. 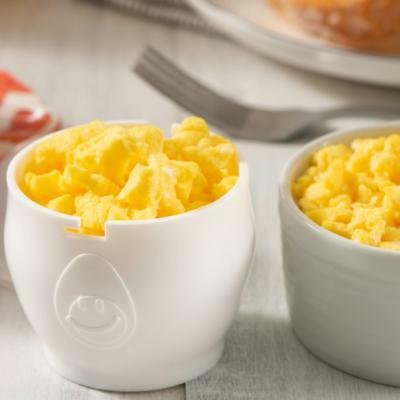 mug, ramekin, or egg cooker) with cooking spray or wipe lightly with vegetable oil. Sprinkle a few grains of salt into bottom of container (salt attracts microwave energy and helps to cook egg evenly). Break one or two eggs into container. Pierce yolks and whites with fork four or five times to bottom of container (piercing is necessary to prevent "exploding" during cooking). If using a mug or ramekin, cover with plastic wrap, pulling back small area for venting. If using an egg cooker, place lid on cooker base, lining up notches. Twist to secure. 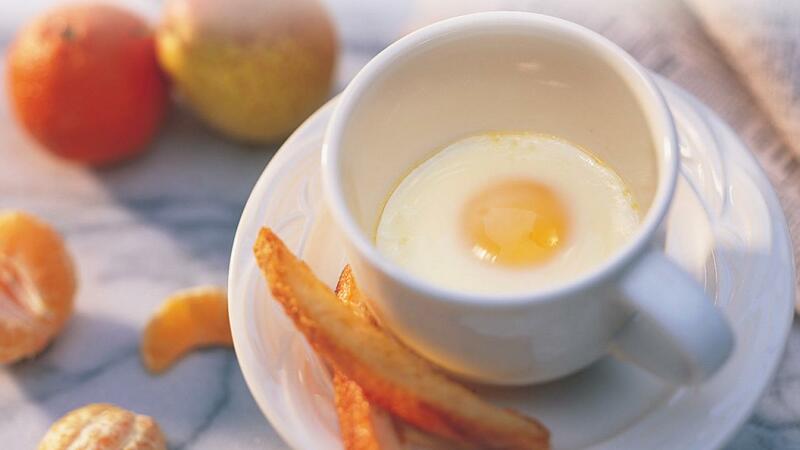 For Soft Boiled Egg: Microwave on High (100% power) for 30 seconds, or on Medium (50% power) for 50 seconds. Let stand for 30 seconds before removing plastic wrap or lid. If still undercooked, turn egg over in container, cover, and microwave for another 10 seconds, or until cooked as desired. For Hard Boiled Egg: Microwave on High (100% power) for 40 seconds. Let stand for 30 seconds before removing plastic wrap or lid. If still undercooked, turn egg over in container, cover, and microwave for another 10 seconds, or until cooked as desired. 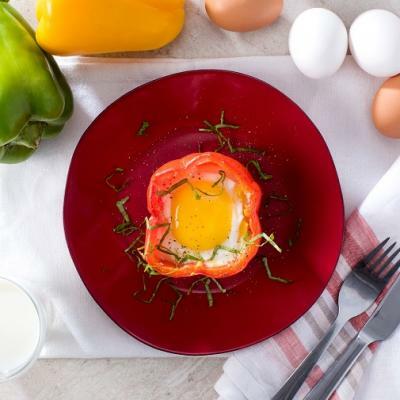 Cooking times will vary depending on microwave oven cavity-size, wattage and desired consistency of yolk. Times provided are for a 1000-watt microwave oven. Increase time slightly for lower wattage; decrease for higher wattage. Start with shortest time and increase in 10 second intervals. Note the time that works best for your microwave oven. Cooking times will vary if more than one egg is cooked at a time. Times given are for a large egg. When cooking eggs in the microwave, always use a microwave-safe container (e.g. glass, ceramic or microwave-safe plastic) and pierce yolk and white several times or whisk before cooking. Never cook an egg in its shell in the microwave; it will explode.